Fed Of Back Pain…? Get Relief Through Reflexology! 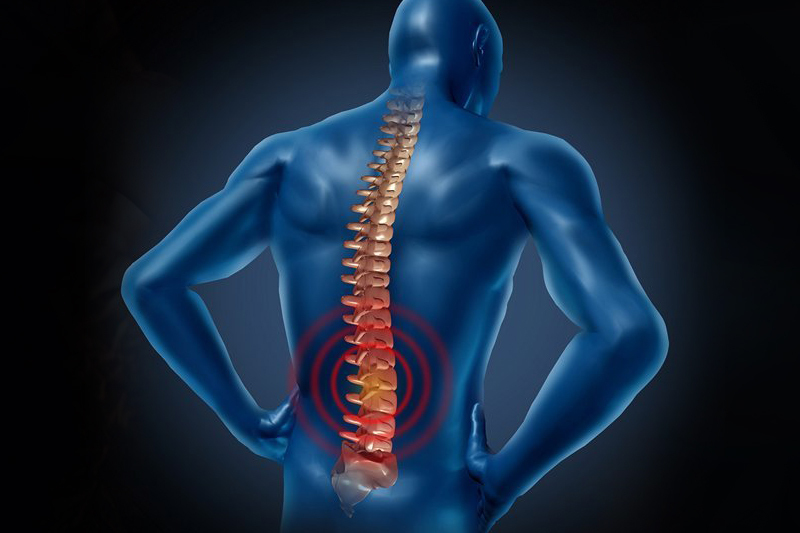 If you feel any kind of pain or discomfort in the spinal area, it is known as ‘Back Pain’. The spinal cord, which is one of the sensitive and most essential joints of the body, stretches down from the medulla oblongata. Vertebrae are the individual bones of the spinal cord. It causes a lot of discomfort for us when they are dispositioned or hurt. When you have an improper sitting or standing position or have stress, muscle tension, pressure, injuries or abnormalities, we tend to feel pain. However, if it is not treated appropriately and timely, it could be severe. 80 percent of the adults tend to have back pain at some point in their life, and it is non-specific and cannot be traced to a particular event such as injury. Reflexology has unique techniques give you either a short term or long term relief from your intermittent or chronic back pains. There are certain points in your body known as pressure points, and these pressure points are the ones that help relieve you of the back pain. All the muscles and bones in your body are linked with each other in one way or the other and hence treating a back pain is very easy by accessing these pressure points. Treating the appropriate area is important. If you have lower back pain, you can treat it applying pressure to the entire area around your heel and around your ankle or on the soles of your feet. The reflex points for your spine are located along the inner edges of your feet, hence, applying pressure over that area would also help. However, if you want to treat your upper back pain, you can use reflexology to the reflex points of your upper back and shoulders. And this is represented on the top and soles of your feet beneath the base of your toes. 2. Massage your lower legs. Ankle rotation and a comfortable massage is what you need for preparing your legs for reflexology. You can massage your ankles, calves, toes and soles of your foot very gently but firmly. After which, you have to rotate your ankle in order to loosen up your ankle. 3. Massage the lower arch edge of your foot for 5-10 minutes. The lower arch edge of your foot corresponds to your lumbar area. It will help you relieve the general back pain. 4. Direct your attention to your cervical spine. The reflex points of your spine track the line of the inside edge of your foot. However, these reflex points are not on the sole of your foot. Starting from the tip of your big toe all the way to your ankle, you should work on all of the spine reflexes that are located near the inside edge of your foot, with the aid of your right foot with your left hand, by using your right thumb. You should press your thumb tightly into the skin and move gently along the whole length of your foot, starting from your toe. This ensures that you press each and every reflex spot. 5. Work your sciatic nerve. The reflexes for the sciatic nerve are located just behind your ankle bone. You should then proceed up in a vertical line for about 10cm or 4″. 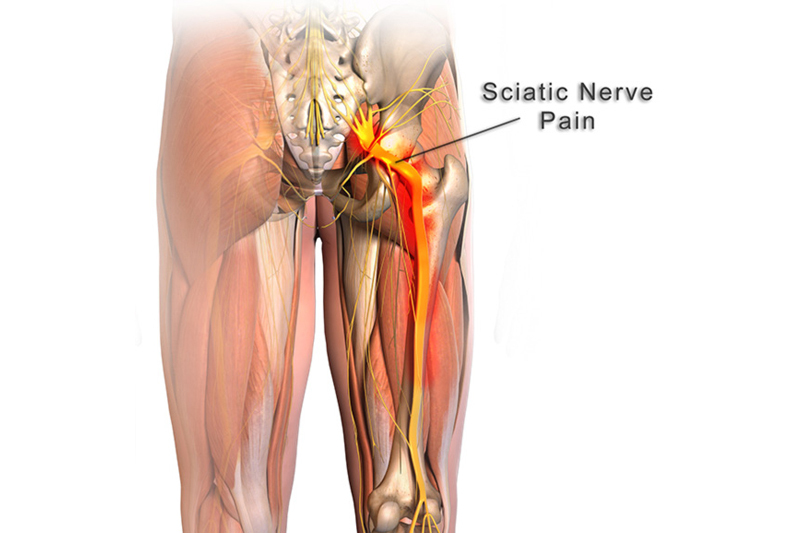 Sciatica causes burning pain down the leg because the nerves are packed or say compressed. This could be because of various factors. When you work on the sciatic nerve reflex points, there will be an improved blood supply in that particular area. In order to prevent a painful case of sciatica, all you need is to work on the sciatic nerve reflexes every day for a few minutes. Press gently on the area with your thumb and index finger. Run your index finger and thumb forward and backwards, bringing them side by side and then sliding them aside. 6. Take care of upper back pain by using reflexology to the points that correspond to your upper back and shoulders. In this case, the reflex points are situated at the base of your toes, bottom and top of your feet. You should apply pressure to the area just beneath the bottom of your toes, beginning on the sole of your foot and then on the top of your foot, with the help of your thumb. You can also press your knuckles strongly into those reflexes, while you work the sole of your foot. Use a gentle touch for the same reflex points located on the top of your feet since that area is more sensitive and hard. 1. Use hand reflexology for convenience. 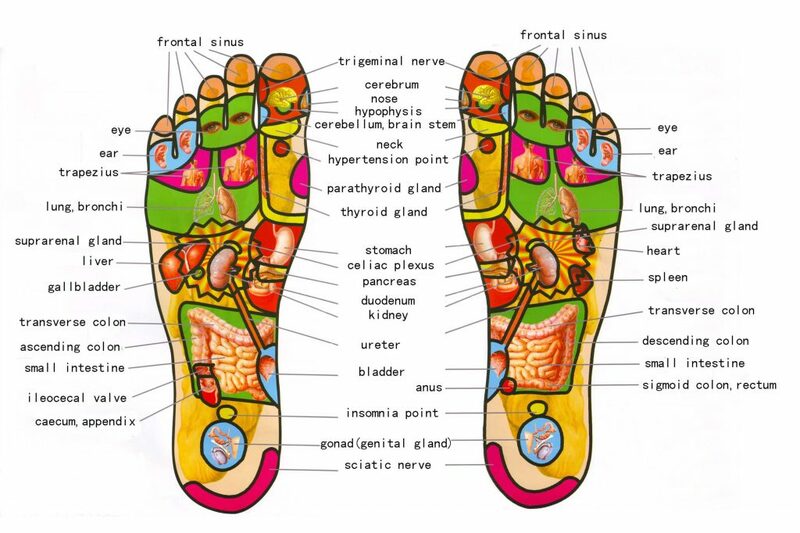 A full feet reflexology treatment may consume some time of yours. 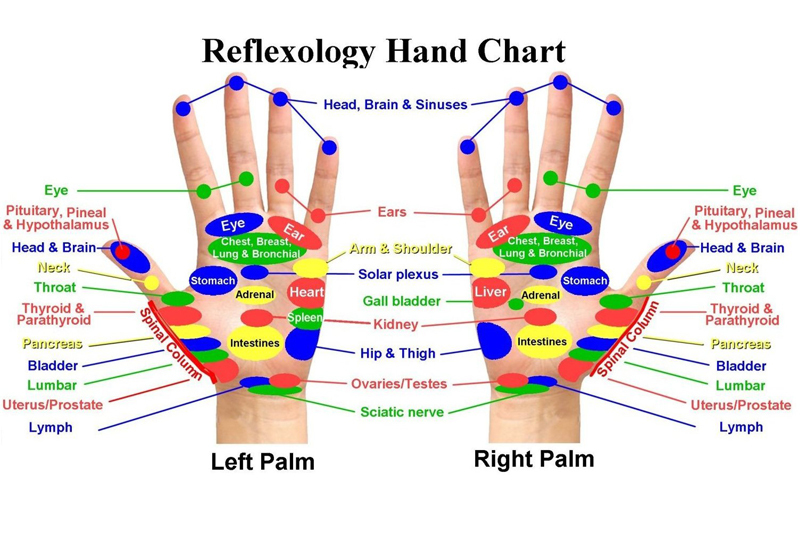 In order to save time, you could use the hand reflexology treatment. In other cases, like your feet getting injured or infected, you can use the hand reflexology technique. 2. Contact the reflex points for your spine. This can be done by applying stress or pressure with your thumb along the outside edge of your palm. First, you can work on your right hand, followed by your left hand. 3. Work the reflexes that correspond with your shoulders and upper back. Here, you have to apply pressure to the region just beneath your small fingers and ring fingers on the top of your hand. The area for your shoulders and upper back is located just beneath your pointer and middle fingers, on the palm of your hand. On your palm just beneath the base of your thumb and on the outside of your hand also there is a reflex point for the upper back. Ensure to work the reflex points on both hands always. Your right shoulder reflexes are at the base of your right small finger, and your left shoulder reflexes are at the base of your left small finger.